Compare a room with bare floors to one with a carpet and the latter will appear infinitely more attractive. A well-chosen carpet has the ability to change a room from cold and forbidding to warm and welcoming. Not only will a well-chosen carpet change the look of a room, but, it also has a psychological effect. Just imagine coming home and feeling a cold hard floor under your feet, versus taking off your shoes off and feeling something soft and comfortable cushioning them. Feeling soft fibres tickling your toes is enough to make you forget all about your hard day. With a wide variety of carpets to choose from though, picking the right one might seem a little overwhelming. In addition to size, there’s fabric and colour to consider. Do you fancy something soft or durable, something plain or with a pattern, and will the carpet hold up under constant traffic? The choice will become a lot less frustrating with these five helpful tips. The material affects the look, feel and durability of a carpet. The most popular materials are silk, wool, cotton, nylon, polyester, a mixture of wool and polyester and more. Your choice of material will largely depend on your budget, the location of the carpet and your family circumstances. For instance, if you have a family with young kids or messy pets, you might stay clear of a pure silk carpet as sooner or later there may be an accident causing a stain. You might also want to avoid pastel colours. A child dropping chocolate ice cream on a brown or patterned carpet is no big deal, but on a cream carpet, it’s a potential disaster. Carpets come in a variety of styles: Saxony, Textured, Frieze, Berber, Pattern and much more. Saxony has a level cut pile, where the fibres stand up straight and are trimmed to approximately 1/2 inch. Textured is the most popular choice. While it’s not as closely tufted as Saxony, it’s a family friendly carpet available in plain or multicoloured fibres. Frieze with its twisted and shaggy look is ideal for areas with a lot of traffic, hiding footprints and stains. Loop pile carpets have loops in the front and knots at the back and are an equally good choice for busy areas. Berber is usually made from wool or nylon and has bulky uncut loops. While Berber is not the most luxurious looking carpet it is dense and stain resistant. Not the best choice for homes with pets though. The uncut loops can create havoc with claws. While level loop is durable and as such great for high traffic areas, it’s not very comfortable. The tufted, uncut loops are hard and stiff. Cut and Loop or Pattern is a mixture of the above with, what seems like, a pattern carved into the carpet. The looped sections are slightly higher than the cut sections. While this type of carpet is soft and masks soiling well it’s not very durable. Consider the area you’re planning to purchase the carpet for. For a bedroom, something pastel and luxurious might be a good idea because not many people wear shoes in their bedroom. For the dining room, on the other hand, you’ll be better off with something dark and short haired in case of food spills, not to mention that chairs get shuffled around. As for the kitchen and bathroom, take moisture into account and choose something with anti-slip backing. The price range of carpets varies from very expensive to cheap. Before you start shopping, look at your budget and try to stick to it. Don’t be in a rush, patience often gets rewarded when a store has a sale, discounts or special deals. 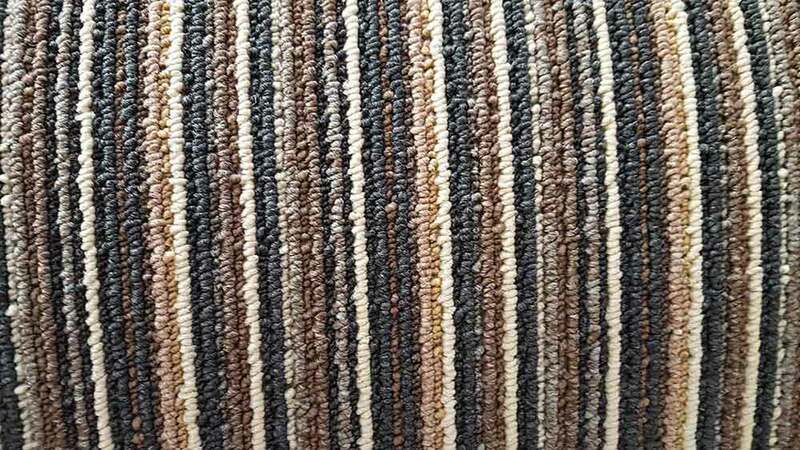 Keep in mind though that cheap carpets have a limited lifetime while by spending a little more can get you a quality carpet you’ll enjoy for years to come. When investing in a beautiful carpet, give it the care it deserves. Take your shoes off when you come home. Vacuum regularly. If the carpet suffers from an accident from a child, pet or food spill, research how to deal with the stain. The Internet is full of advice on how to clean up various stains such as food, liquids, pet accidents, crayons or even nail polish. Long haired carpets typically require more maintenance than short-haired carpets. Carpets of a dark fabric or with a motif are more forgiving than plain ones. Ask the carpet store how to keep your carpet in peak condition and if necessary ask their advice on a professional cleaner. Buying a carpet is not nearly as complicated as it might seem. The important thing is to know your budget and don’t let your heart speak louder than your brain. If you have any questions or would like to see the carpets we have available, please do not hesitate to call our helpful and friendly team via 01604 702 774 or send us an email using our online contact form.